Ive been debating making another blanket for a while. Not just because they take a long time, but because i often loose interest in what i am making after a period of time, i like the yarns to have some signifcance or the pattern to be interesting to keep going. I did at one point make a lot of simple crochet blankets, like granny stripe or simple star desgins. While i think all of these types of blankets are beautfiull and still love every one i made, i want something with a meaning. 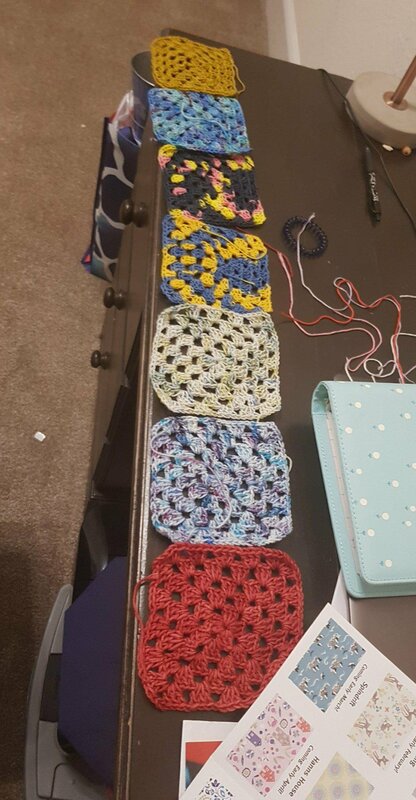 So ive decided to make memories blanket crocheting granny squares from certain yarn that has meaning to me and joingin them all together with either a cream or black yarn i havent decied yet. This means im using up my yarns scraps from the hand dyed yarn i have been buying and using the yarn that i am storing because i like the colour. I will be picking yarn that reminds me of something signifcant in my life, people i love, and also using some of my hand dyed yarn scraps! 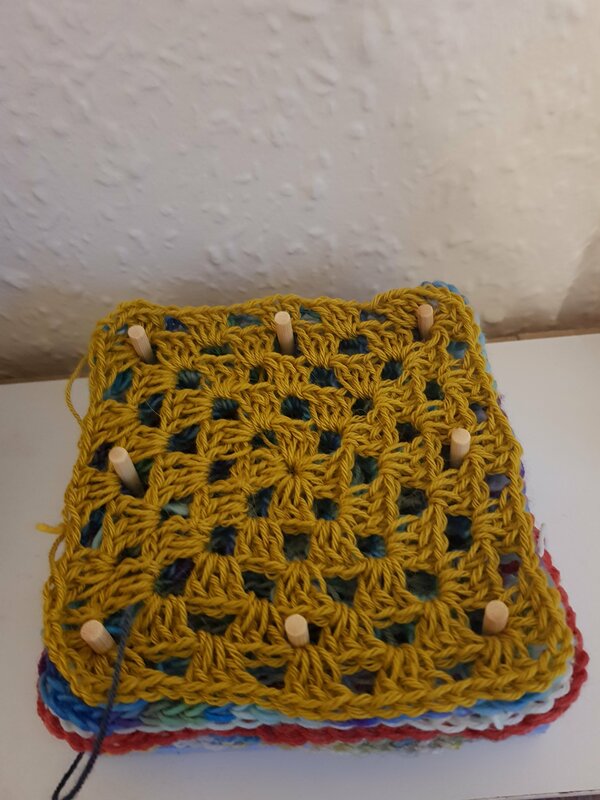 Im also going to add some crochet grannys hopefully once a week depending on where i am at with yarn and what i making aswell, it will kind of be a scrappy blanket but it hexi should hold abit of meaning or memory of what yarn it is or where its from. This is probably going to be a long term project which is good because at the minute ive got no blankets on the hooks! 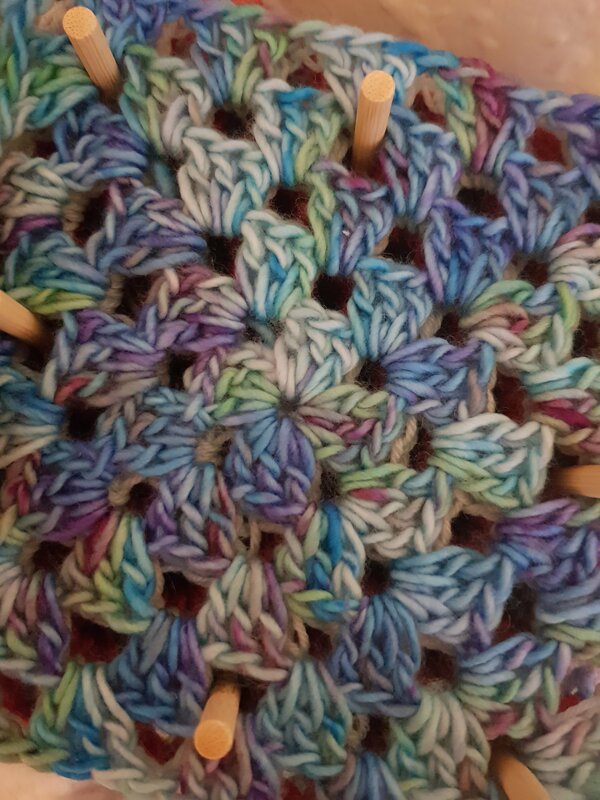 Il also be doing a step by step of how to make granny square memory blanket to follow and how to join as you go . This is a lovely idea. I hope you enjoy making it and then using it once it’s done.